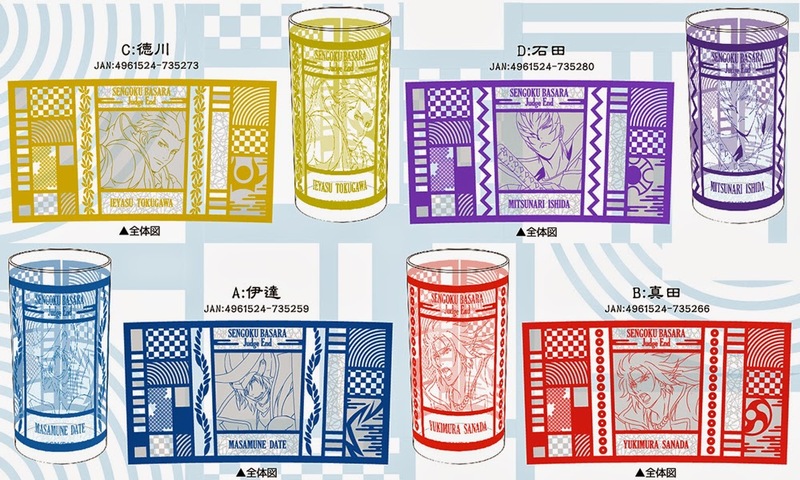 Technically we've already had a ceramic mug with the key artwork, but this merchandise from Movic is the first that will be available to a wider audience. There will also be a ¥350 clear file released on 24th July 2014. The design hasn't yet been revealed on the Movic Store. Fans who liked the previous rubber strap sets can now rejoice as there will soon be more warriors to add to their collections! 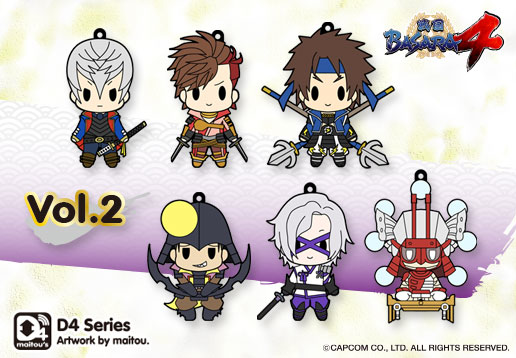 The two new sets each contain six characters from Sengoku Basara 4, focusing on popular characters who were missing from the older sets, brand new characters and a few old favourites in alternate costumes. The blind-boxed straps cost ¥500 each or you can buy a set of six for ¥3,000. They're due for release in September 2014. The Chou! A&G+ website has posted a news story explaining how the radio show will work. Its full title will be Hoshi Souichirou and Seki Tomokazu's Sengoku Basara: Judge End Radio. The two seiyuu will team up to present information about the anime and fans are invited to submit messages by e-mail to which they can respond on air. Yukimura is going to have a segment called 'Oyakata-samaaaaaa!' where he relays all kinds of military intelligence and silly observations provided by the listeners (oh dear!) 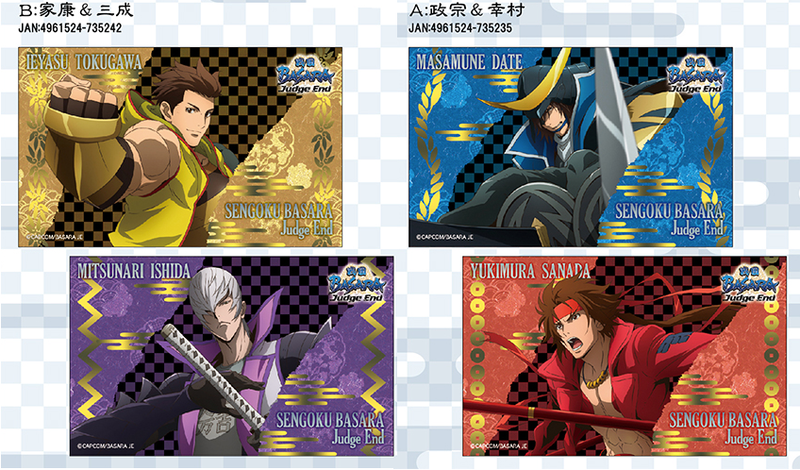 while Mitsunari's will be 'Ieyasu! I won't forgive you!'. They want to hear about incidents which annoyed the mild-mannered listeners so that Mitsunari can go into a fury on their behalf. There are some sample messages too, such as this one: "The other day I was walking outside a tobacco shop when I crashed into a telegraph pole. My rage maxed out at this 'telegraph pole by the tobacco shop'! Please, execute it somehow." The broadcast will take place online from 24:30 to 25:00 every Sunday from 13th July 2014. 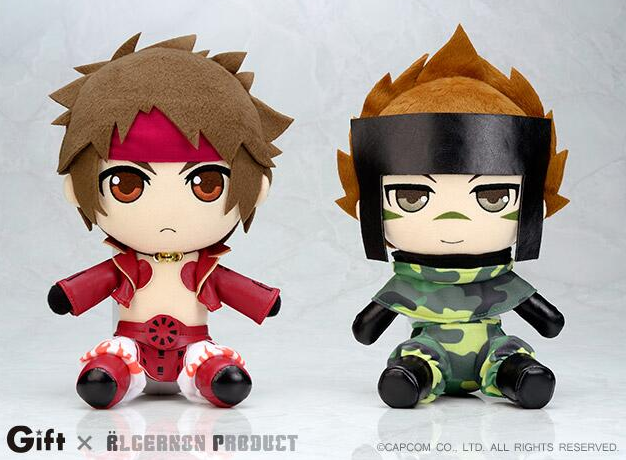 The next two plushies from Gift and Algernon Product are Yukimura and Sasuke as previously announced. The preorders went up last week at stores like Ami Ami (Yukimura, Sasuke) and Animate (Yukimura, Sasuke). The previous two plushies sold out quite quickly so it's recommended to place your order swiftly. You may need to use a proxy service since Ami Ami's initial preorder allocation disappeared very quickly. Yoshihara Motoki's Sengoku Basara 4 manga adaptation has now been released and fans who buy their copies through Animate will be treated to an illustrated sheet with a special message. Yoshihara-sensei has been posting beautiful ads on Twitter to help promote the release as well! If you're impatient waiting for Empty's new Mitsunari figure due later this year, retailer Hobby Search has posted an extensive collection of pictures showing it off from almost all angles. 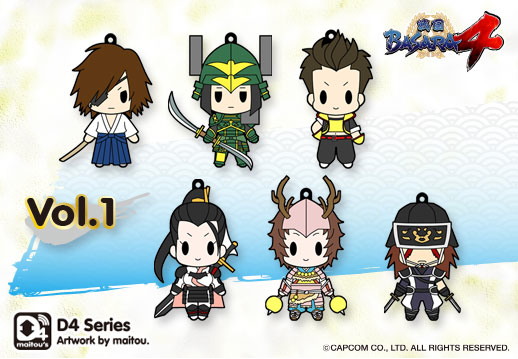 Motochika and Motonari are the stars of the latest week-long site takeover at e-Capcom with special bundles available for their loyal fans. It's due to end later this week - will there be any more 'festival' events? And if so, who will feature next? Fans making use of Mitsunari's rage so they can get revenge against things like telegraph poles? Oh dear. Maybe if Mitsunari channels all that anger into productive activities he'll learn to relax and enjoy himself. I don't believe it, though. If H&H are killed off in the first episode, as I suspect they will be, I hope they'll at least pop up in flashbacks from time to time later on to keep them in the background of Mitsunari's story. Perhaps we'll hear a few new anecdotes about them if they do it that way? I hope they put them all on CD eventually (I'm sure the region lock will be swiftly circumvented but I want nice two-disc sets with the full length shows on again for as much Hoshi and Seki silliness as possible).